All the existing and new methods have been updated so that Resellers can view and change data for sub-accounts. Just use the ‘subaccount_guid’ parameter for each method to select a sub-account. 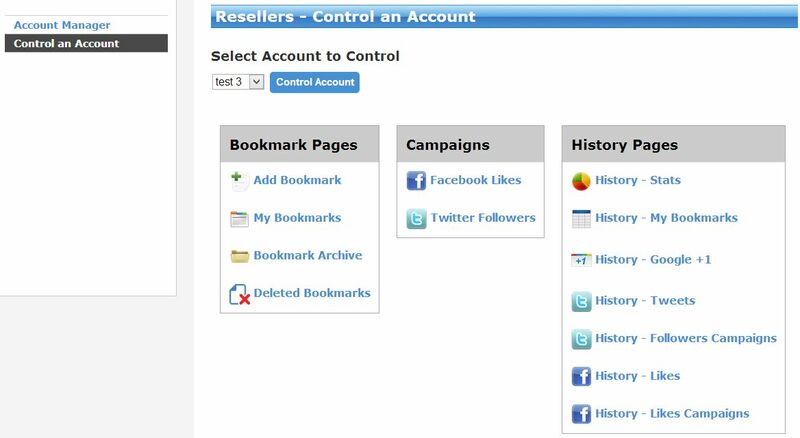 Learn more about Reseller accounts here. Reseller accounts are useful for SEO Professionals who do work for clients, or even just independent internet marketers that have hundreds of their own URLs they want to promote. If the regular ‘ol Lazy accounts aren’t powerful enough for you…chances are a Reseller account might do the trick. 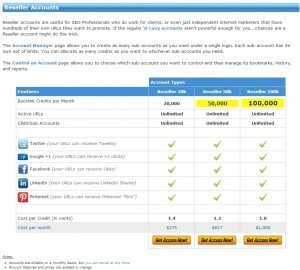 The Account Manager page allows you to create as many sub-accounts as you want under a single login. Each sub-account has its own set of limits. 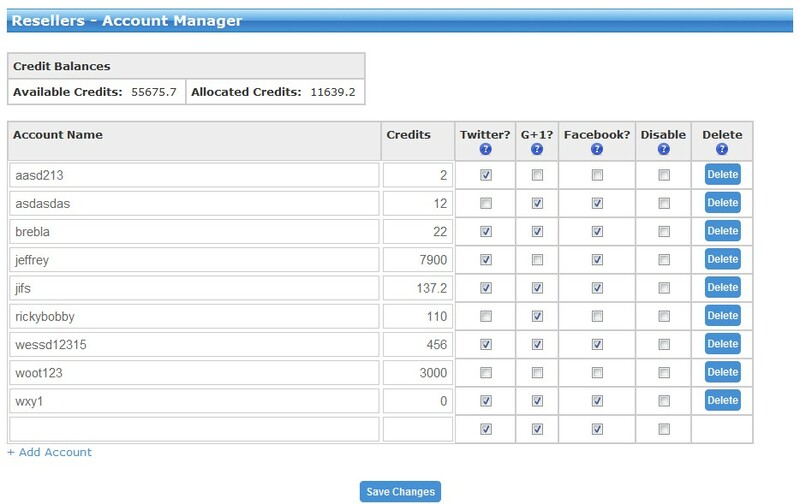 You can allocate as many credits as you want to whichever sub-accounts you need. The Control an Account page allows you to choose which sub-account you want to control and then manage its bookmarks, history, and reports.